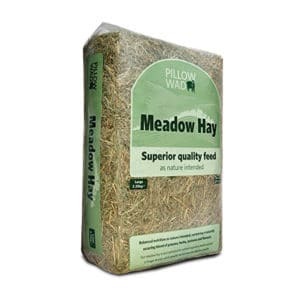 Bedding hay is good to sleep on but lacks the nutritional values of feeding hay. 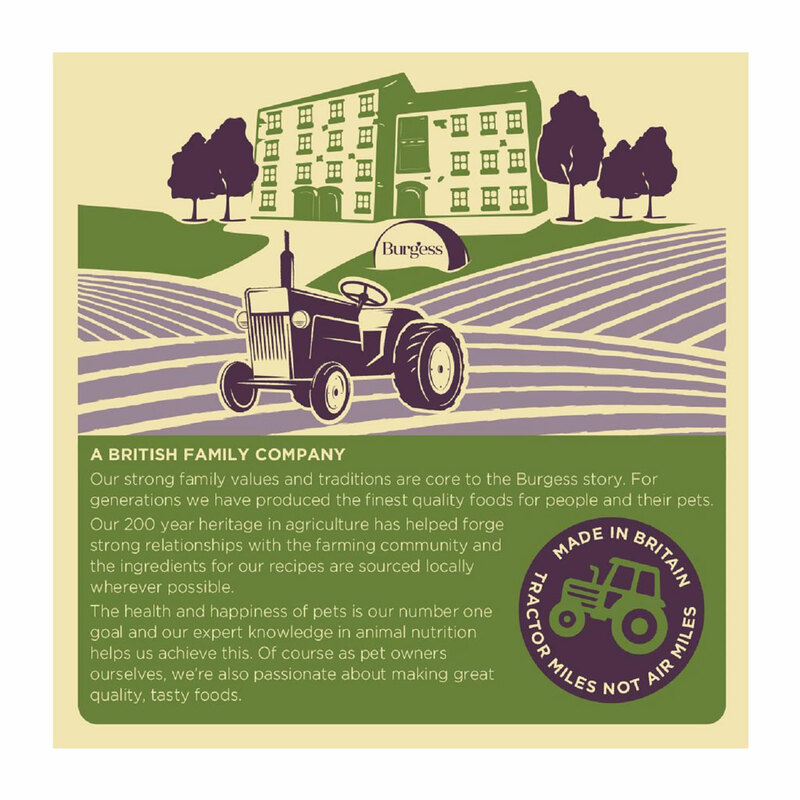 Burgess Excel Long Stem Feeding Hay is Timothy Hay grown on a Yorkshire farm, cut at the right time and dried within 48 hours. 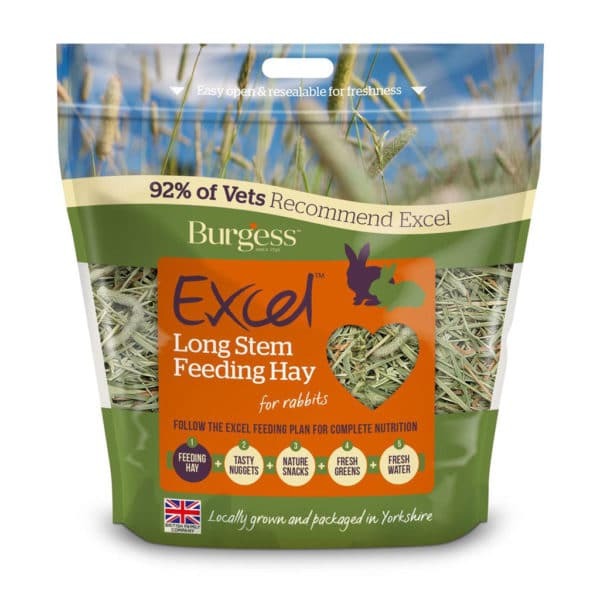 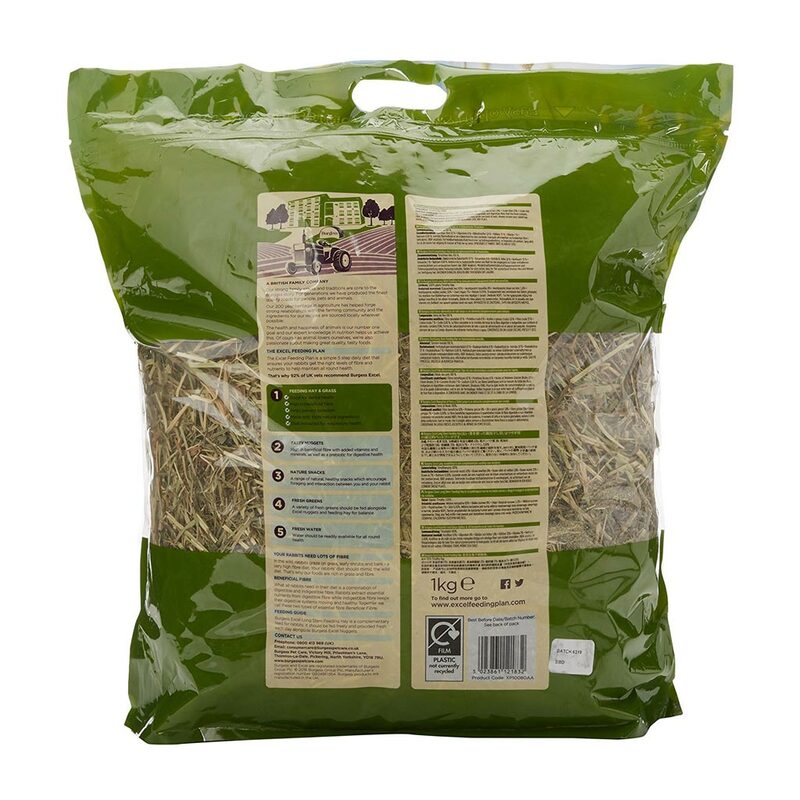 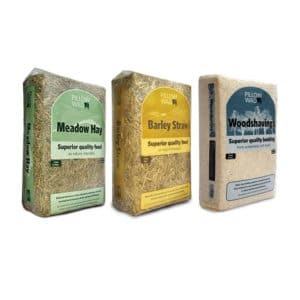 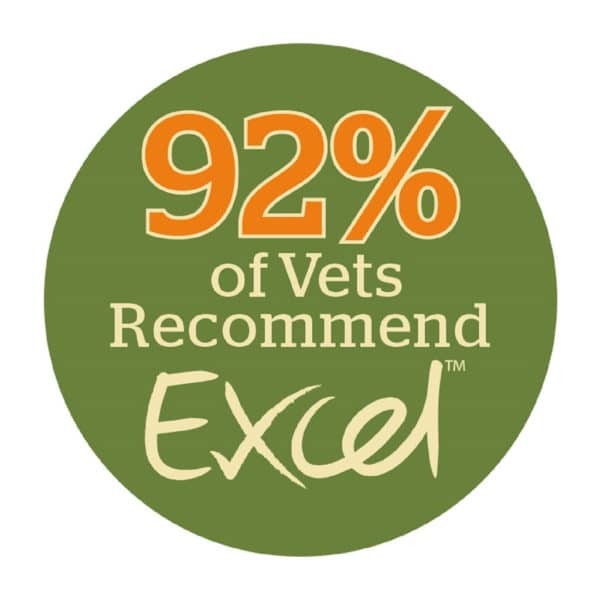 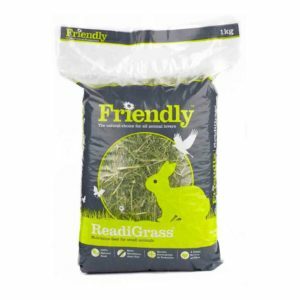 It is high in fibre which aids digestion, whilst the long stems of hay satisfy both chewing for dental health and natural foraging giving rabbits the emotional enrichment they need. 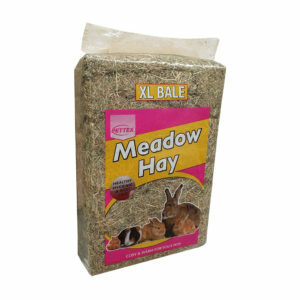 It also comes in a resealable bag so there’s less mess and it’s nice and fresh right down to the last tasty stalk!